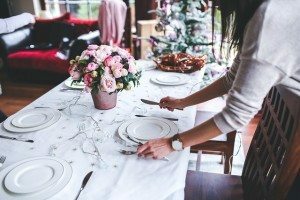 With the holiday season approaching, many homeowners are starting to plan get-togethers with friends or family. While entertaining can be more of a challenge in a smaller home, it’s not impossible to host a memorable dinner party with your loved ones if you’re working with limited space. Here are a few tips for throwing a large dinner party in a small area. You don’t have to put as much effort into cleaning and decluttering as if you were selling a home; the basics will do. Put away any unnecessary furniture, home décor, and kitchen appliances before the dinner party. Clean and dust the rooms that guests will visit: bathrooms, the kitchen, and the dining area. If you have pets, don’t forget to vacuum upholstery and stash toys or the litter box out of sight. You likely don’t keep a dozen matching chairs in storage just for dinner parties. Show off your creativity by relocating chairs, stools, benches, or ottomans currently in your home around the dinner table. 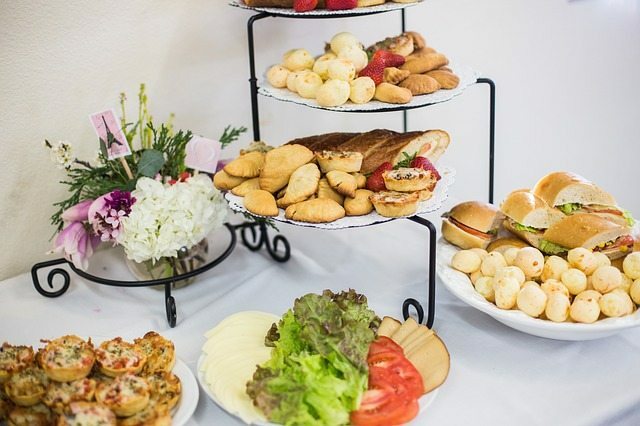 Invest in a tiered platter for dinner parties. Raising the serving plates gives the appearance of more space on your counters and tables and keeps your serving stations from looking cramped. To further free up space on your dining room table, keep the centerpiece decorations to a minimum. Instead, hang decorations from your walls or ceiling to maximize your space. Trying to Make the Most of Your Space? If you’re downsizing but still want to entertain friends and family in your new home, there are many ways to make the most of your space while still enjoying memorable occasions with your loved ones. As real estate experts, we can share downsizing tips and help you find a home that’s just the right size. Contact us to learn more.